Described by its users as a revolution in fish sampling when it was first launched, a new generation of the FishMeter has now conquered the market. The new wireless FishMeter has made sampling even easier for the Norwegian Fisheries Surveillance Service: – Now we can just put the FishMeter down and start sampling, says Head of Section, Jens Petter Hansen. The Norwegian Fisheries Service in Tromsø has used the FishMeter for fish sampling since 1999. Two years ago they started using the new wireless FishMeter. – The new wireless model is easy to set up and not dependent on an external power source. It takes up less space and instead of a screen we get the measurements directly through a headset, says Hansen. 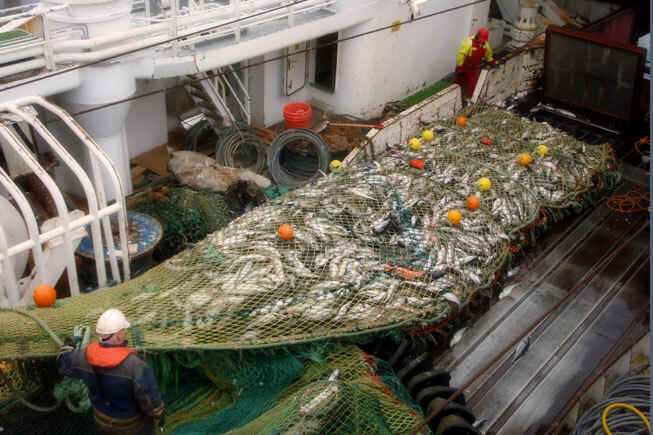 FISH SAMPLING: The Norwegian Surveillance Service has 120 sampling cruises a year. The wireless FishMeter is the preferred method for registering the fish. The wireless FishMeter is powered by rechargeable batteries and data is transferred via Bluetooth directly to a mobile phone, PDA or PC. There are no cables and no required setup. The new model consumes less space allowing for even easier fish sampling. This is valuable for the Fisheries Service since much of their field work is done on surveillance vessels where workspace is at a premium. – I have to admit that when the first FishMeters arrived ten years ago we were a bit skeptical. We thought it would mean more equipment and more work. But once you start using them you can’t be without them, says Hansen. 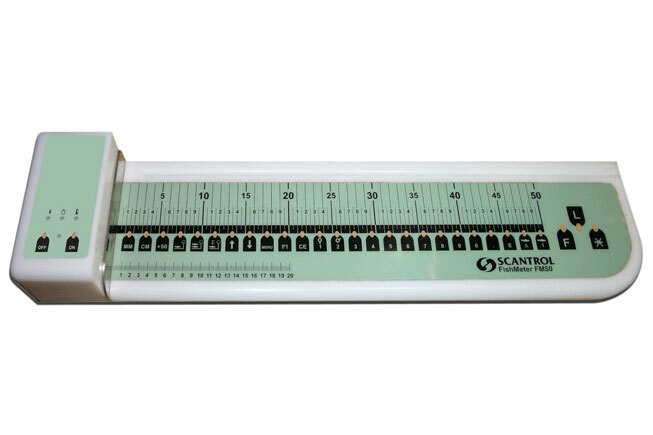 – I would go so far as to say that when it comes to fish sampling, the transition from the old manual method to the FishMeter can be called a revolution. The Norwegian Surveillance Service employs 18 people for field work and surveillance of fish stocks. On the 120 sampling cruises a year the wireless model of the FishMeter has become their preferred choice. It is in use around 300 days a year. – We register the measurements on a wireless PDA in our pocket at the same time as they are confirmed over a headset. From the PDA the data is later transferred to the computer, explains Hansen. Back in his office in Tromsø Hansen receives the data that is transferred directly from the cruises once a day. – When I come to work in the morning, the data are ready on the computer. It’s a huge advantage to us. Powered by rechargeable batteries to ensure complete mobility. No cables needed. Data from the fish sampling is transferred via Bluetooth directly to your mobile, PDA or PC. Each measurement is confirmed over a sound insulating headset.